President Recep Tayyip Erdoğan visited the site of the collapsed building in Istanbul on Feb. 9. 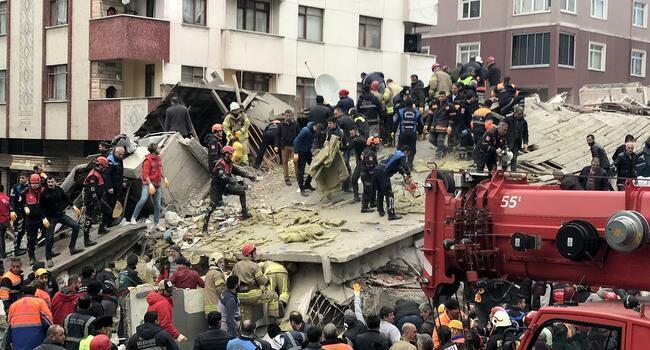 The death toll from the collapse of an apartment building in Istanbul rose to 21 on Feb. 9, as President Recep Tayyip Erdoğan said authorities have “lessons to learn” from the incident. “Those who are responsible will be held to account,” Soylu said. Erdoğan also visited a hospital to talk to survivors, before attending the funeral of the nine members of one family who lost their lives in the disaster. 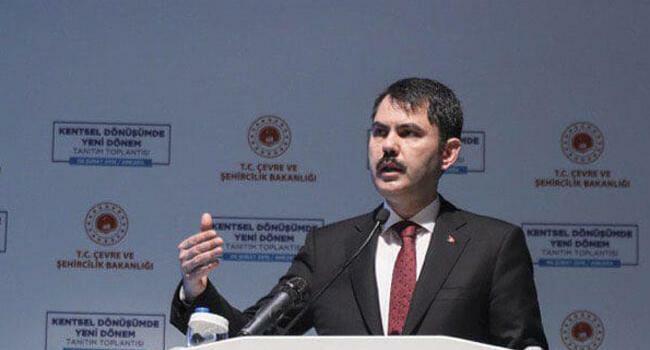 Environment Minister Murat Kurum, who accompanied Erdoğan, said the block had housed 14 apartments and three businesses. The collapse fanned criticism of an amnesty granted last year to people accused of illegal building - a measure announced ahead of municipal elections this March. Engineers and architects regularly sound the alarm against illegal additional storys to buildings which they say weaken the constructions’ structure, and put them at greater risk in the event of an earthquake.